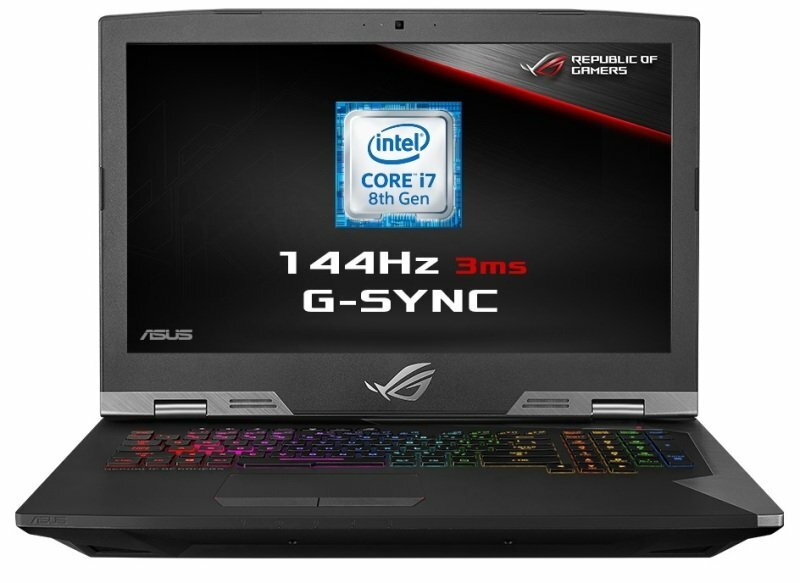 ROG G703 is a beast of a gaming laptop that has the power to take on today's gaming desktops, thanks to its factory-overclocked 8th Generation Intel® Core™ i9 processor and overclockable NVIDIA® GeForce® GTX 1080 graphics. G703 is the key that unlocks supreme levels of gaming, so you can play AAA games on Ultra graphics settings without compromises. Continually pushing the envelope, ROG has torn up the gaming laptop blueprint, becoming the first to integrate an ultra-responsive IPS-level 144Hz display with a 3ms response time into its laptops. G703 features HyperDrive Extreme storage, which uses exclusive technology to combine three NVMe PCI Express® (PCIe®) SSDs in RAID 0 configuration for read speeds of up to 8700MB/s, so games load up in a blink of an eye. Simply saying that G703 has gaming desktop levels of performance* would be an understatement. It's powered by a factory-overclocked Intel Core i9-8950HK that's capable of hitting an incredible 4.8GHz - surpassing base speed by more than 10%! Similarly, its NVIDIA GeForce GTX 1080 GPU and 8GB of GDDR5X VRAM are factory-overclocked as well, and can reach speeds of up to 1974MHz and 10.3GHz respectively! This graphics prowess lets you enjoy the latest AAA titles at their maxed-out settings for immersive gaming experiences. The ROG-exclusive Gaming Center puts all this performance at your fingertips, with an intuitive dashboard that lets you push G703 to its limits with a mouse click. HyperDrive Extreme uses exclusive technology to combine up to three NVMe PCIe 3.0 x4 SSDs to provide G703 with the world's fastest RAID 0 storage available in a gaming laptop - so your games load up faster. Having two out of the three SSDs directly connected to the CPU helps avoid DMI bottlenecks, allowing for speeds of up to 8700MB/s.